CLEMSON — While many college football fans are focused on this week’s marquee matchup between the Georgia Bulldogs and the Clemson Tigers, researchers from the two institutions are working together off the playing field to develop low-cost technology that can detect cancer. 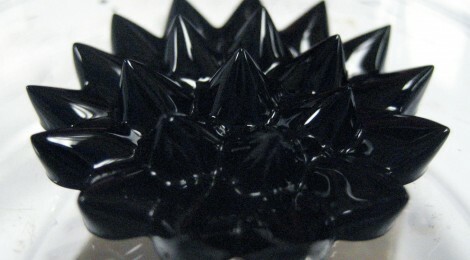 Jian He, assistant professor of physics and astronomy at Clemson, and Leidong Mao, associate professor in the College of Engineering at the University of Georgia, discovered a system to measure magnetic properties of materials by combining their knowledge of ferrofluids, or liquid magnets, and microfluidics, fluids that are geometrically constrained to a small, typically sub-millimeter, scale. The researchers use their technology to isolate cancer cells with magnetic particles from a sample. He’s research is supported by the National Science Foundation under Grant No. DMR 1008073, the Experimental Program to Stimulate Competitive Research (EPSCoR) under Grant No. DE-FG02-04ER-46139, the U.S. Department of Energy and a South Carolina EPSCoR and Clemson University cost share. Mao’s research is supported by the National Institutes of Health under Grant No. 5R21GM104528.